. إن Central Plaza Port Douglas Apartments حريص على توفير الراحة للنزلاء، فلا يوفر الموظفون جهداً في تقديم أفضل الخدمات وضمان حسن الاستقبال. يمكن للنزلاء الاستمتاع بالميزات التالية: واي فاي في المناطق العامة, صف السيارات, التوصيل من وإلى المطار, رعاية أطفال, غرفة عائلية أثناء إقامتهم في هذا المكان الرائع. تتضمن كل غرف النزلاء وسائل الراحة والتسلية المصممة خصيصاً لضمان الراحة القصوى للضيوف. يمكنك طلب اللائحة الكاملة للخدمات في الفندق ومن بينها حوض استحمام ساخن, مسار جولف - ضمن 3 كم, حمام سباحة خارجي, سبا, ملعب تنس. مهما كانت دواعي سفرك فإن Central Plaza Port Douglas Apartments هو خيار ممتاز لإقامتك في بورت دوجلاس. We had a great stay, We had a 6am flight from Melbourne and Fiona said our room was ready for a 10am check in, very much appreciated. 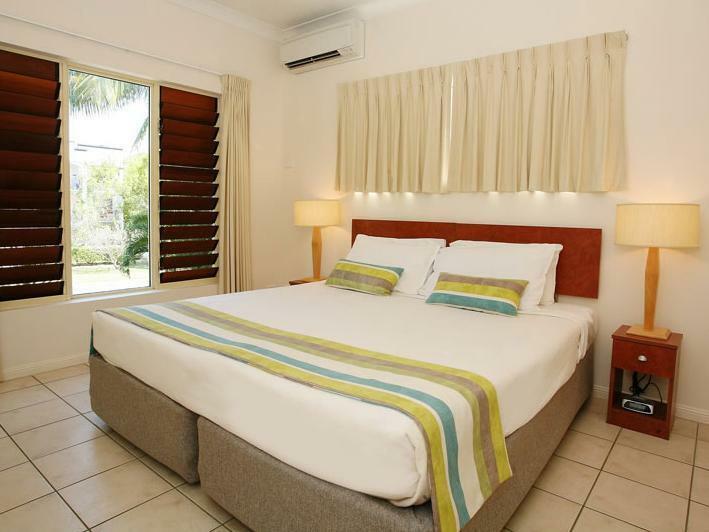 Spacious and clean apartment with quality linen and towels We would definitely stay here again. Washing machine lid was blocked by the dryer above it. No light in the laundry cupboard. Regardless i loved the apartment and would definately stay there again. Thanks Fiona and Iain. A wonderful stay. Extremely clean and a great spot close to town and the marina. Very nice, friendly place. Easy walk into town. Nice pool area. 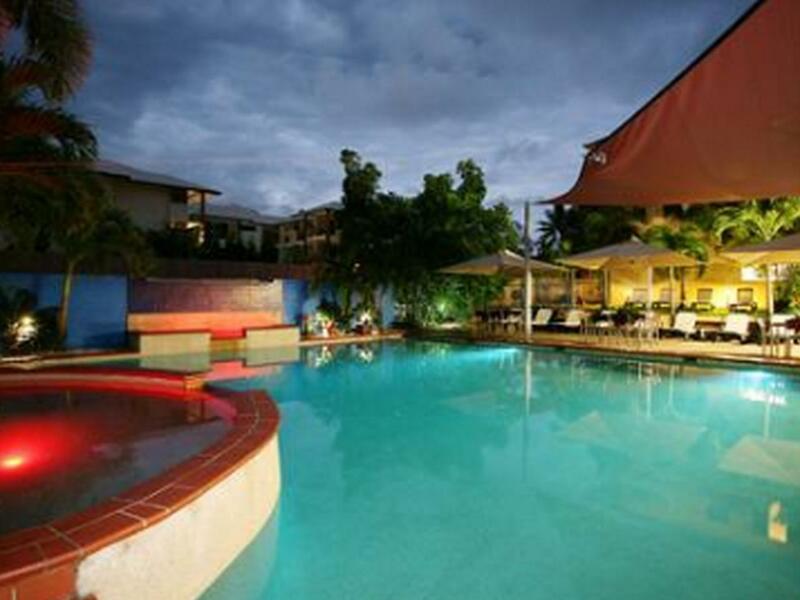 The apartments are in a good location and are easy walking distance to both Macrossan st and the beach. This accomodation is well suited to families as the pool is large enough to cope with lots of kids. It is very comfortable and all rooms have fans and air conditioning. Staff were pleasant and approachable. A good choice for families. This is a great apartment. Although if you want daily maid service this is not for you. We stayed 1 week so they came in half way and changed the sheets and towels. The kitchen is well stocked. Loved having a washer and dryer for bathing suits and towels. The owners are lovely and very helpful. The only drawback is that the apartment was on the 3rd floor which was only a challenge when we took the suitcases up - other than that it was fine. The apartment is large with lots of room, 2 bathrooms and 3 bedrooms. I highly recommend this apartment. Very huge apartment. Sleeps 4 without any problem. Comes with a fully equipped kitchen with dishwasher and even bread maker. Equipped with washing machine and dryer as well. Huge jacuzzi bath was a major bonus... Very nice and friendly staff... Only negative if anything was that the building do not have lifts. Not very nice having to climb up the stairs with luggage. the apartment we were allocated was on the 3rd floor which was a little bit of a struggle up 3 flights of stairs with a couple of heavy suitcases and groceries but the apartment itself was well furnished and the air conditioners were excellent after a hot day. the location is fairly close to town - about a 5 to 10 minute walk depending on your level of energy.